Two Wheeler Helmet Manufacturers Association welcomes the move of Tamil Nadu Govt. Tamil Nadu Transport Department makes suppy of BIS certified helmets mandatory at the time of purchase of new two wheelers. New Delhi : As you are aware that the transport Department is taking various initiatives to reduce road accidents in Tamil Nadu. But, still the accident report reveals that the fatalities rate is more among the two wheeler riders 33% and fatalities in the year 2018 is due to the efforts by stakeholder departments such as police, highways, health and transport. In order to reduce the road accidents and fatalities even further among two wheelers rider and to encourage motor cyclists to wear the helmet by both rider and pillion , Transport Department of Tamil Nadu is taking various steps. 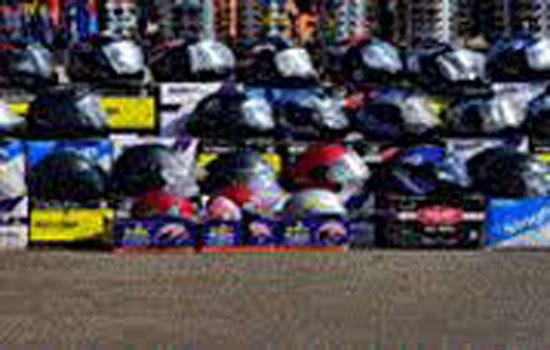 Transport Comissioner of Tamil Nadu, instructed that the supply of the helmet to every buyer at the time of purchase of a new vehicle by the manufacturer or dealer should be ensured by the RTOs and report of the same should be submitted to his office every month and Two Wheeler Helmet Manufacturers Association Welcomes this rule. According to the Central Motor Vehicle Act, rule 138 (4) (f) 1989, states that at the time of purchase of a two wheeler, the manufacturer of the two wheeler shall supply protective head gear, keeping in mind the specifications prescribed by BIS. Therefore, the transport department of Tamil Nadu makes the supply of helmet to the buyer at the time of purchase of new two wheeler mandatory which can surely lead to decrease in injuries and deaths in road accidents. The Two Wheeler Helmet Manufacturers Association is in High Spirits as the State Government of Tamil Nadu took such an initiative which are really beneficial for the the Two Wheeler Riders as a helmet is a life saving device. Most importantly, a good quality and BIS certified helmet should be used by the rider, and this move can surely decrease the buying of fake ISI helmet which are available in local markets and footpaths.